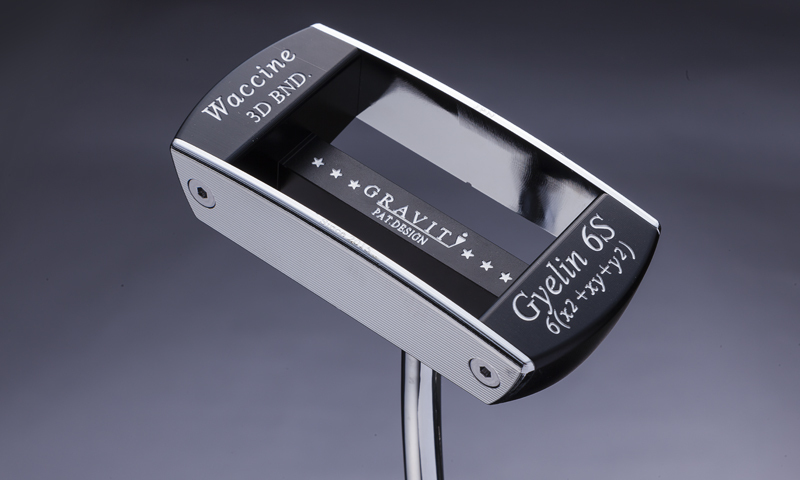 Gravity Golf’s President Harada-san knew that if he were to introduce a putter, the design had to be radical and innovative. Ironically, the majority of putters today are still designed after a toe-heel balance concept. The most basic putter using this concept is the “Cash In Putter” Harada-san eyed on the “Acushnet Bullseye” putter design. The CG is located on the shaft line which enables the most efficient energy transfer at impact. Only a small stroke is needed to roll the ball a certain distance. Harada-san was after a center shafted, toe-heel balanced head with a feel that is unique to a center shafted putter and of course it needed to be a blade! However, a center shafted putter with a toe-heel balance naturally has a rather large angular face movement. Which means that if you miss the sweet spot, distance and accuracy will significantly be sacrificed. To move forward with this design, he knew that he also had to overcome this major hurdle. For seasoned golfers, a problem they face in their putting stroke is that their hands don’t move as smooth as they used to. It’s a painful fate of aging that they cannot overcome. By incorporating a bent neck center shaft, Harada-san thought he could solve this problem. “I probably bent around 30 shafts to experiment. 10 with the help of Shimada shafts and the other 20 were bent in my garage! ” ” My family got really annoyed after a while … :) ” He ultimately settled on a 4 bend point shaft design. As Harada-san was testing the shaft using a Mallet head, former Tour Pro Hidemichi Tanaka provided guidance telling him that a bent center shaft would not work well with a large mallet because the CG is too far behind the shaft. Roll will be compromised. Harada-san decides to design a head that works with his 4 bend shaft. The head design they came up with was a ” six plane symmetry” design. Top plane vs sole, face vs back face, toe vs heel are all symmetrical. 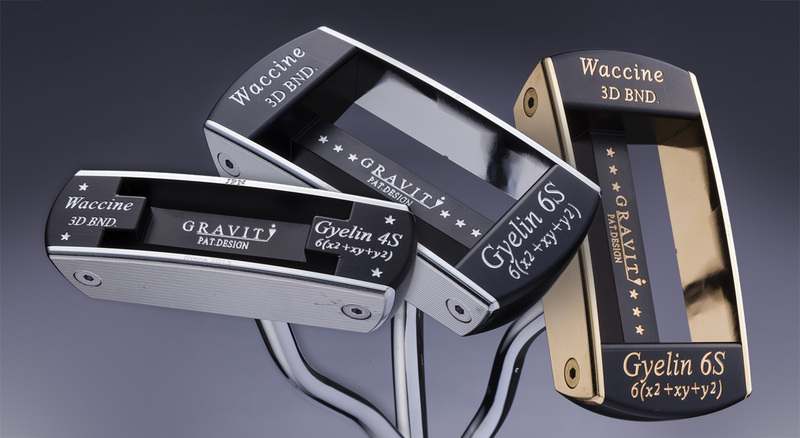 Here the Gyelin Putter was born! Six plane symmetry head, center shafted using a 4 bend shaft. Though the functional objectives were met, Harada-san wanted to make sure that the users of this putter will be overwhelmingly happy with it. He felt that the sound at impact was going to be equally important for a putter to feel good. They created a resonator gap between the face plate and the body to create a resonating sound. The resonator gap dimensions were adjusted to simulate the sound of the legendary Ping 1-A putter. Gyelin Putter heads come in two sizes. A thin bladed design called the “Gyelin 4S” and the wider mallet profile “Gyelin 6S” A Limited Edition Gold IP face version is the “GRY10.” The “GRY20” uses a silver plated face. 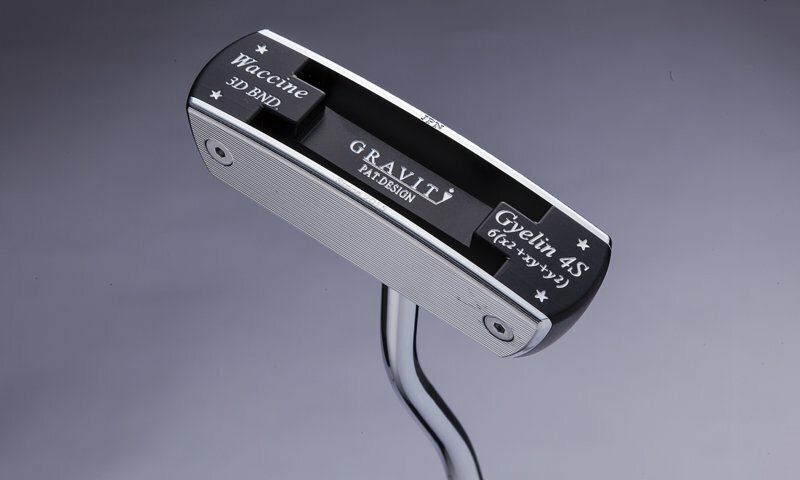 Then there is a head only version only available thru their certified fitting studios in a Satin finish called “GRY30. ” Users can choose between a goose neck bend and a reverse goose neck bend. 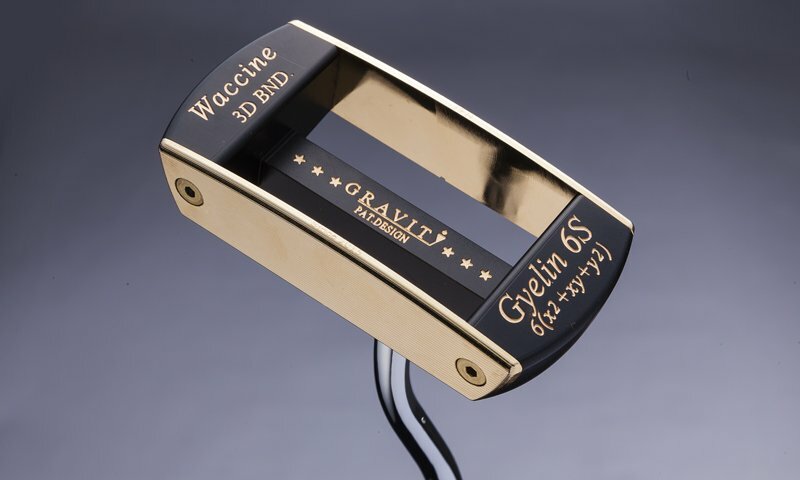 Gyelin Putter is the cure to your putting woes!! Want to try? Click Here to Purchase! Miura CB-2008 in White Satin Finish!